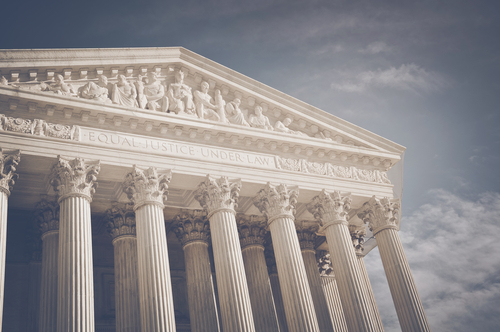 The Supreme Court delivered a decision in the last week of its session that dealt a major blow to a California law requiring anti-abortion pregnancy centers to inform women about publicly funded abortion and contraception services. This was a very slick attempt to circumvent the First Amendment by forcing people to deliver a government script written by politicians. This was a 5-4 ruling delivered by Justice Clarence Thomas, where the court’s conservatives in the majority, stated that the law violated the First Amendment by compelling speech. California was trying to circumvent the law by demanding pregnant women be notified of their rights to an abortion. Those who support abortion have to look at all the ramifications once you open that door. You could also then pass laws if a woman seeks an abortion that she MUST view an ultrasound as the worker reads a script explaining about the growth of their fetus. You can pass a law that says you cannot beat your wife. The unintended consequence would be that a man could then beat anyone who was not his wife. Law turns on wordsmithing. As they say, God wrote the Ten Commandments and man has tried to express the same thing in more than one billion pieces of legislation. If you allow compelled speech that orders a woman to be advised of her right to abortion, you will also authorize a compelled speech instructing a woman on the rights of a child if she seeks an abortion. There are always two sides to every issue. The last thing we need is compelled speeches written by politicians.